Don't be a Scrooge. Help fight hunger. It just isn't Christmas without A Christmas Carol. 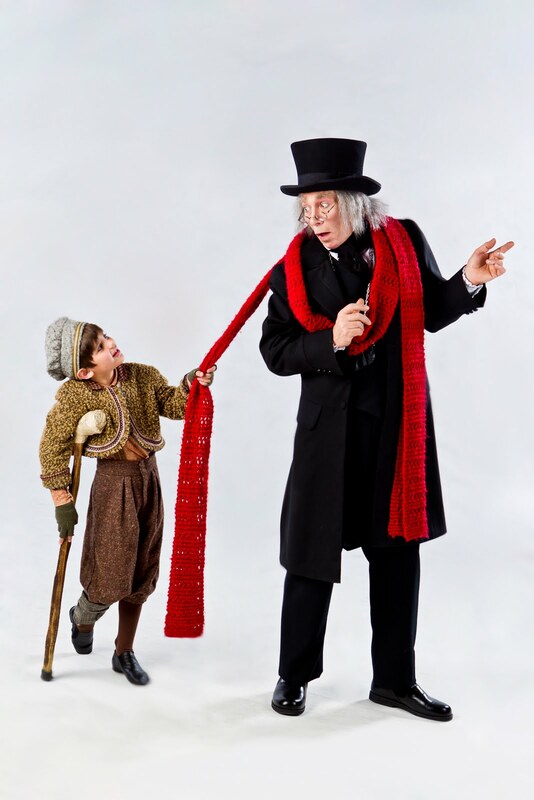 An Omaha holiday tradition for 37 years, Scrooge takes us on a life-changing journey that shows us it truly is much better to give than to receive. This year, we ask you to make giving a part of your holiday tradition. 208,200 people in Nebraska and Western Iowa are food insecure, and 83,800 children under the age of 19 are at-risk for hunger. This holiday season, the Omaha Community Playhouse is partnering with Omaha Performing Arts, Omaha Symphony, Opera Omaha and ConAgra Foods to collect non-perishable food items for the Food Bank for the Heartland as part of Shine the Light on Hunger. 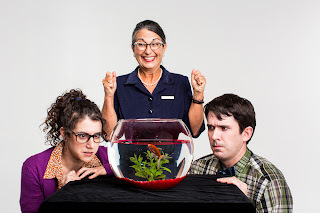 From staged reading to full production: The story of boom. Every production at the Omaha Community Playhouse has its beginning where the cast comes together for their first read through, the design team creates the set and the director establishes the blocking of the show. OCP’s boom is unique in that it already has a head start on the process. Boom kicked off OCP’s 21 & Over series in 2010 with a staged reading featuring most of the same actors that will appear in the full production. Boom is a hopeful story about a graduate student taking on the preservation of the human race through a personal ad as the end of the world approaches. Disaster strikes, food is running out, the lab-turned-shelter is beyond repair and the fish are acting strange. Will he and his "date" survive? This hilarious romantic comedy turned sci-fi fantasy is contemporary theatre at its best. See this show come to life. Boom runs October 19-November 18 in the Howard Drew Theatre. Tickets are $35 for adults and $21 for student tickets. For groups of 12 or more, tickets are $23 for adults and $15 for students. For tickets or for more information, visit the OCP Box Office, call (402) 553-0800 or click here. Enjoy the arts with a Metro Arts and Culture Pass! If you are a season subscriber to the Omaha Community Playhouse, in the month of October, you can receive 2 tickets to Ballet Nebraska's "Momentum" for $50. You can also receive 50% off general admission to the Bemis Center's annual art auction.